When I finished my first draft! I’ve grown so much since that day I first decided to write a book, and each of these milestones gave me the motivation to keep going. But there’s one milestone that REALLY gave me a supercharged boost in motivation. And now for the drum roll…. An agent from Writer’s House asked to look at my manuscript! 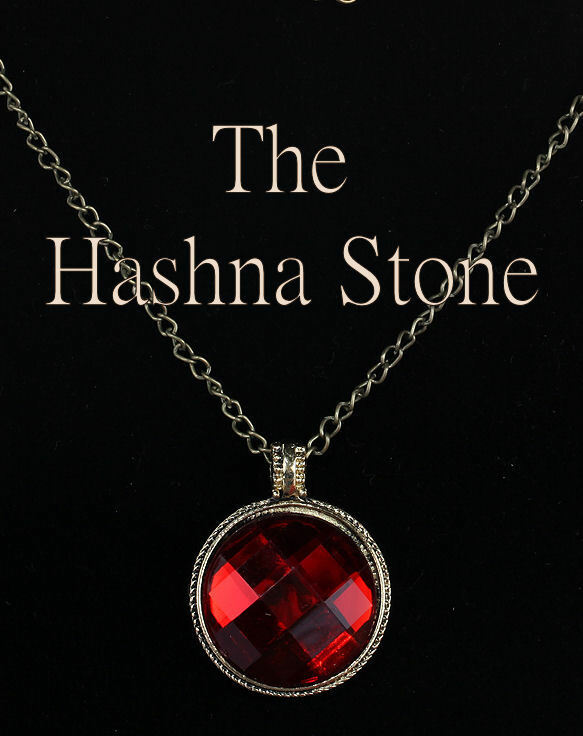 The agent said that The Hashna Stone was an “original concept” and that I’d “done a great job creating a novel with a strong voice and engaging characters.” She said that she didn’t connect strongly enough with the book to represent it though. This agent’s interest gave me more than just a ray of hope that one day, someone would represent it. She gave me an opportunity to look at my work, yet again, and be a little more critical. Her email left me thinking, “What made her say no?” It could truly be that she loved everything about the book, but its style wasn’t quite something she wanted to represent. But most likely, there was something flawed about the story. It wasn’t the idea, the overall story concept itself. She said it was an original concept. It wasn’t that a lack of voice or that I had flat characters. So what was it that turned this agent away? As I started thinking about how the story unfolds, I realized that I wasn’t entirely happy with the ending, and chances are, if I’m not happy with it an agent wouldn’t be either. It needed to be bigger, there needed to be a few more scenes, the other viewpoint character has a last scene that just doesn’t seem to wrap everything up as nicely as Dalan’s. So, that is what I’m working on now, dear Epic Dreamers. Sending to agents has been put on pause so I can rewrite about ten of the last chapters (which also means rewriting quite a bit in the first and middle, because it has to reflect and foreshadow what happens in the end). I’m excited about these changes because it’s making The Hashna Stone a better story, and hopefully the next time an agent asks to read my manuscript, she’ll say yes. Recent events in my life changed my thought process we all seem to have: If something goes wrong, it MUST be OUR fault. I realize now that’s not the case most of the time – still we constantly blame ourselves. The agent stated that your manuscript is an original concept, but she couldn’t represent it at this time. Sounds to me she doubted herself, taking a chance on an original concept. If the polish you put on The Hashna Stone makes it better, great. But if you sent it out, it must have been good before the changes. Save her Email. That’s proof that you are doing something right. That’s true. It isn’t always our fault when things don’t go well, and going through life thinking that every bad thing that happens to us is because of something we did isn’t healthy. I’m definitely keeping her email. I need all the encouragement I can get! I know I haven’t posted much on here but know that I do follow you and I am excited about your book and I love this post!! I love it for the good news but more for your attitude that is displayed in it! Congrats on your book! That’s so exciting! It’s so encouraging to hear about other authors getting their books published. It gives me hope that one day I can be among them. Thanks for the reminder that good idea’s and talented people get turned down too. I’m definitely motivated to keep writing after your comment. Thanks! Yay! So glad I could pass on hope to you! You are welcome! Thanks for your congrats! My friend and I wrote the book together , it was a lot of fun but as you know a lot of work as well! Now I am really enjoying the fun part by going to schools and sharing stories from the book. Knowing your book is making kids smile is a wonderful thing! How fun! You got to write the book with your friends. That must be quite different than the solo journey I’ve been on. Is your book middle grade or picture book? That’s a really positive response from an agent, I’m so happy for you! Sure, not as good as a “yes”, but from what I hear, the most common response is flat-out zero interest, so getting interest and even useful feedback is wonderful! And I think you’re absolutely right: if you don’t totally love the ending and the character arcs, probably others won’t either. I hate to bring this up, but you should probably steel yourself for making several more revisions. Even once you find an agent who wants to represent you, he or she might ask for several rounds before they think it’s ready to send to publishers, and then more revisions once they get feedback from the publishers/editors. One of my main critique partners is represented, and she’s gone through so many revisions — it does get a little heartbreaking. But then, if it makes the story better, you’ll be more satisfied and proud of the final product. I’ve heard that once you get an agent you’ll have to make a lot more revisions. I’m trying not to think about that part right now. 😛 But yeah, revisions will make the story better, even if they are a pain sometimes. Every positive response, we celebrate. Even the receipt of a handwritten rejection on a comp slip. Keep up the good fight, Megan! Way to go!